Animal Care Center was started by Larry Oliver, D.V.M., in 1969. Dr. Oliver retired in August 2006 after practicing in the Stanford community for over 37 years. He sold his practice to Jonathan Alford, D.V.M. Jonathan Alford, D.V.M., received his Doctor of Veterinary Medicine degree from Auburn University in Auburn, Alabama. He received a Bachelor of Science degree from EKU in Richmond, Kentucky. 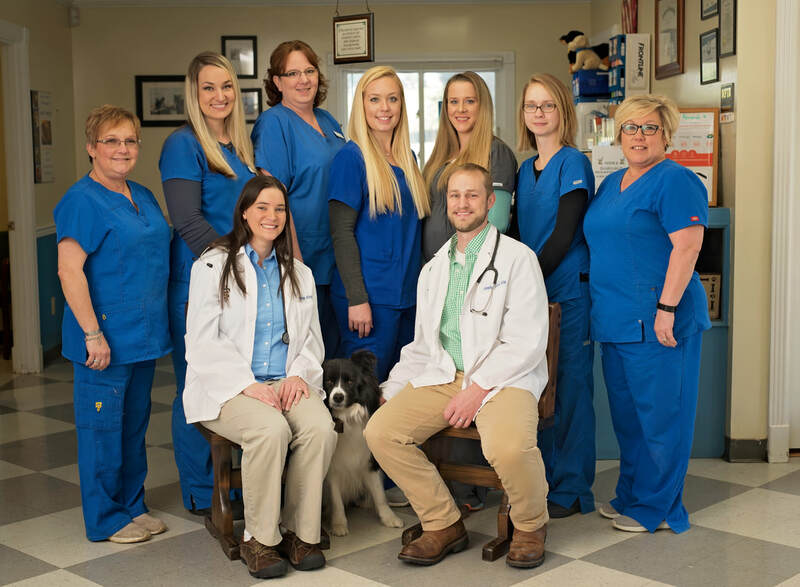 Dr. Alford is a Kentucky native and has lived in and around central Kentucky all his life, with the exception of four years of veterinary school. Dr. Alford and his wife, Shelley, have a daughter, Sharla, and three sons, Justin, Jake and Josh. Back Row (Left to Right): Deanna (Groomer), Kelly (Vet Assistant), Lori (Receptionist), Ashley (Vet Assistant), Missy (Vet Assistant), Sarah (Kennel Manager) and Jamie (Receptionist).